I just saw @UpSideDownGRUNT state in a profile page post that there is an alternate hair style for Diego. Are you referring to that one heavily compressed, barely recognizable Twitter video where some think they saw a shorter version of his faux hawk? If that was indeed a different hairstyle, isn't it weird that they haven't shown elsewhere once? A serve we deserve. Lisa needs longer hair options. Inches!!! I'd love for Lisa to get a hairstyle like this early in this colour or her natural dark brown hair colour, either way it would be stunning. Someone should @TN on twitter with this just so that they see it. It seems, that we got a long hair option for Christie! Please link the video!XD is it on YT? Yes queen!! 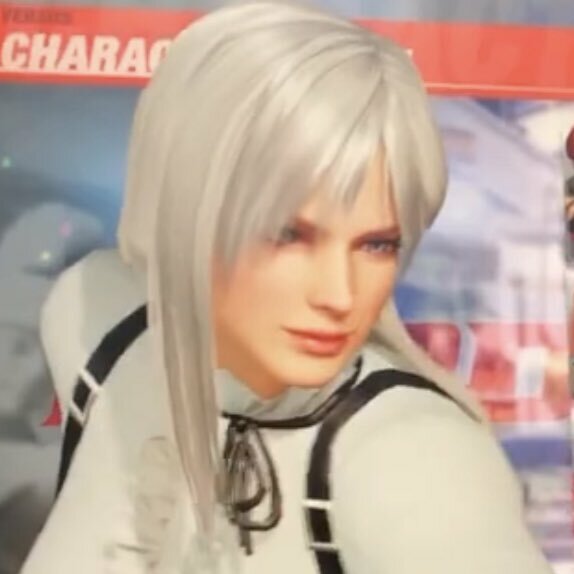 She looks so good with long hair, The hairstyle options in doa6 are so great! Found it randomly on Twitter =) I am so happy, that we'll have hair option right from the start!! I love them so much! For me, Lisa is great with short hair. We can do so many hairstyles with her hair lenght; no need to have long hair, because it doesn't suits her at all. 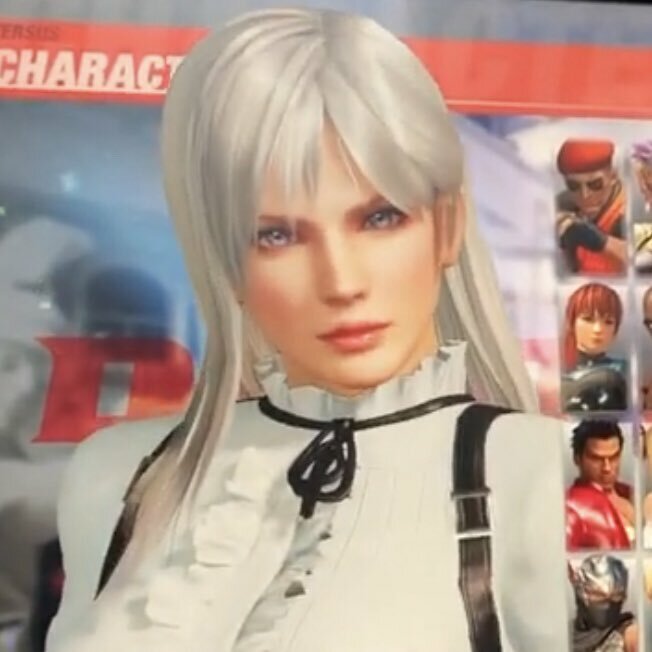 Plus, I hate the silver hair on Lisa. Her DOA5 alternate hairstyle was just HIDEOUS, the color and the cut. Seems like a 5'years old child cut it ... .
WIGGG INCHESSS. Why is the hair tucked behind her ears?